As the Spring rolls in, we’ll hopefully see more bait show up at the Sandpile and Bullshark Barge to use for fishing inshore and offshore. There’s already been a few cobia caught at the Sandpile on 2 oz jigs. April is a great time to start tying for these cobia at the Sandpile before the get pressured by anglers and sharks. It’s also a great time to run up to the Boils of the Powerplant and throw crabs, baitfish, or big shrimp for cobia and permit. It’s about 12 miles North of the St. Lucie Inlet, but always worth the drive on a calm morning. Early spring is also a great time to bottom fish off the Loran Tower for snapper, grouper…. Drifting the Loran ledge and reefs in 70-90 feet can be good for finding spots and marking them as you catch fish. 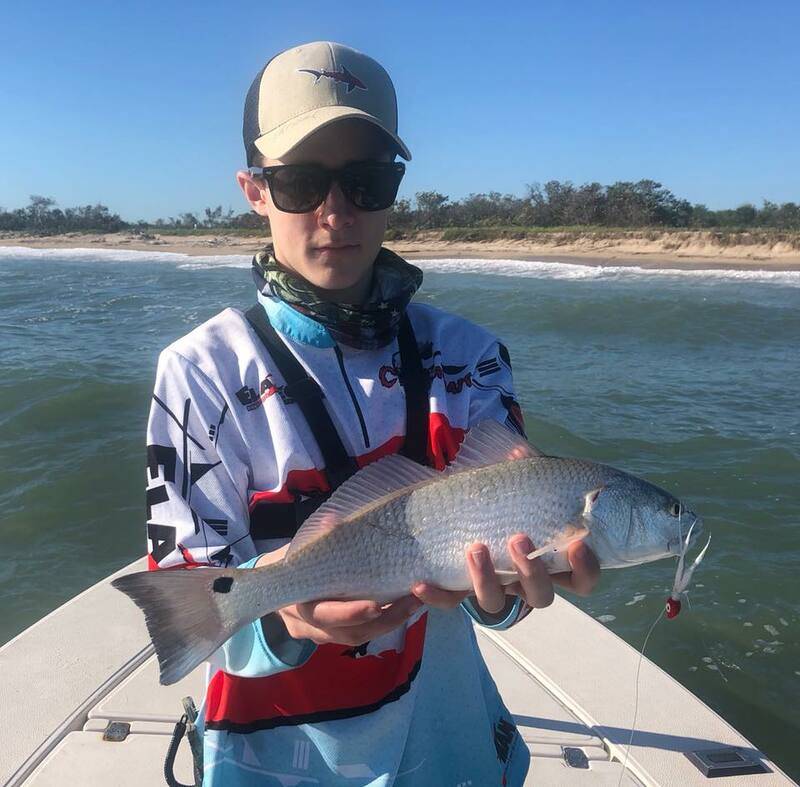 The inshore bite has been ever-changing with limited bait and late winter cold fronts. 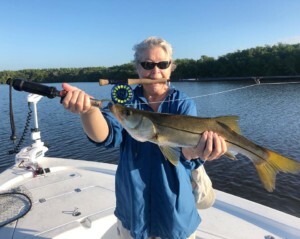 The South Fork finally explodedwith snook feeding on minnows along the mangroves. They should be there throughout April before moving out towards the Inlet to spawn during the summer months. As they move out to the inlet, they like to hang around structure along the way such as the Roosevelt and 10 Cent Bridges, dock, and seawalls. We often have windy conditions in the early spring, which makes fishing the flats seem unpleasant. However, using a “drift sock” tied mid-ship positions the boat to give the bow and stern a perfect angle to cast down-wind while quietly drifting the flats with the wind at your back casting downwind. Choppy conditions on the flats can very often trigger feeding for trout, redfish, and others. The pompano tend to show up on the flats during Spring. We mainly use artificials when working the flats such as DOA curly tail jigs, bucktail jigs, clousers, and Borski Sliders. Park at the Sandbar at low tide on a calm day and wade North in knee-deep water. We also catch flounder and bonefish also when wading the flats while looking for surface action and diving birds. Hang in there. The best months for fishing are coming!